A contingency plan is a proposed change in a company’s strategic direction in response to unforeseen events that cause financial results to vary significantly from what was expected or forecast. Business owners prepare contingency plans because they recognize that it is difficult to accurately predict the future. Coping with uncertainly is part of every business owner’s job description. During planning, companies make difficult decisions about how to allocate their resources, which include capital, personnel and productive capacity. These decisions are based on assumptions about the business environment the company will face in the next year and beyond. Many times this environment changes after the plans are implemented. Competitors roll out their own strategies to gain greater market share. The general economy can turn up or down -- sometimes suddenly and with little warning. A company’s strategic plan ends up being out of sync with the environment, and changes must be made. Many companies prepare contingency plans during their annual planning when they are setting the strategic direction for the upcoming year and for the longer term. 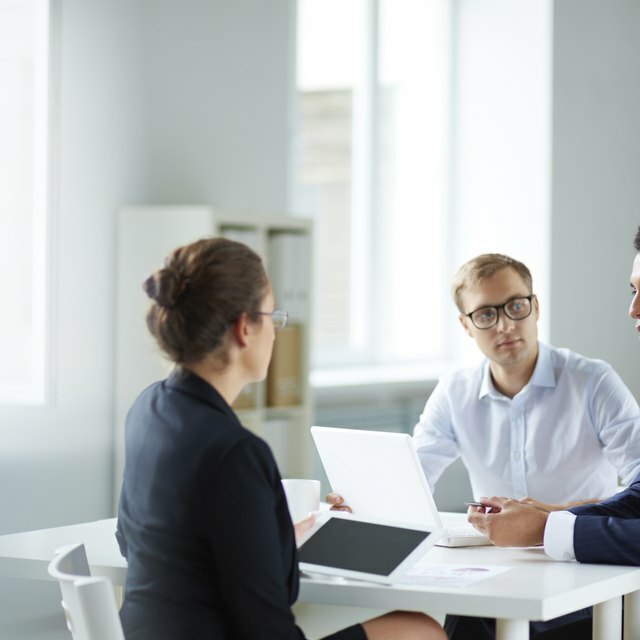 But some managers strive to incorporate contingency planning into their decision making throughout the year, recognizing it as a useful tool for dealing with both large and small issues. A smaller issue would be a competitor convincing a key manager to leave the company to work for him. If the business owner already had a replacement trained or at least selected, the change would cause minimum disruption in department performance. Contingency planning requires creative strategic thinking -- being able to imagine what events could occur to push the company off its intended financial course. Contingency planning is also called developing “what-if” scenarios. During meetings, managers ask how the company would respond if a certain event happened. These meetings must be open and freewheeling, allowing all ideas to be expressed without criticism. What Are Major Reasons for Change in Business? Contingency planning should not be regarded as something intended solely to address negative occurrences. It is also a tool for planning ahead to take advantage of opportunities that might emerge during the year. An example would be having capital sources in place that can be used to acquire a competitor whose owners unexpectedly announce they would be willing to sell. Contingency planning sharpens managers’ strategic thinking skills. They become more cognizant of the ever-changing business environment the company operates in and how it can impact the company’s success. Having contingency plans in place enables quicker reaction to unexpected events and may lessen the damage to revenues and profit. A retail store could find its business disrupted by street repairs that make it difficult for customers to park and come through the front entrance. The store should have a contingency plan in place to quickly rearrange the back entrance so customers can come in that way, including signage to alert customers to the change.